Famously, LA is a collection of neighborhoods, many of which aren’t easily recognizable as having any relationship to each other. The chic vibes of Venice Beach seem a world away from the inland grit of East LA. The glitz and glamour of classic Hollywood practically alien compared the hardscrabble desperation of the city’s many subterranean homeless encampments. But savvy Angelinos know that these many faces are all of a piece: our city is complex prism of interconnected communities—with plenty of surprises for those on the lookout. 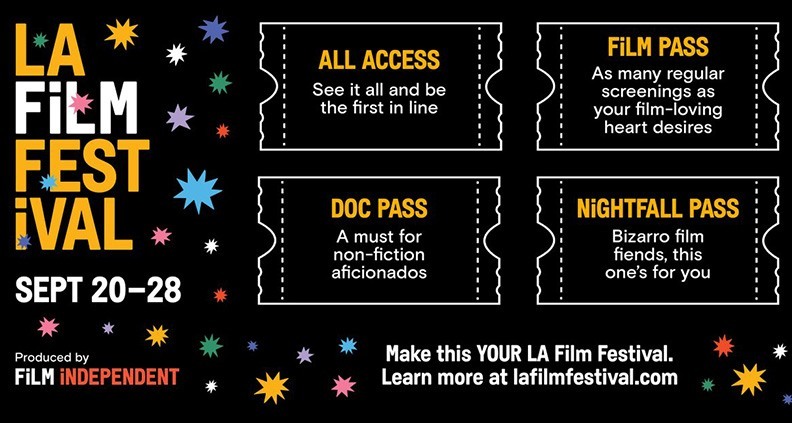 Naturally, any 10 films chosen to represent the scope of stories and experiences found in modern day Los Angeles will necessarily be as wide-ranging as the city itself. And while it would be impossible to capture every single facet of the City of Angeles with just 10 titles, you could do a lot worse than this year’s LA Muse. For the fourth year, we left the air-conditioned confines of Film Independent HQ far behind, venturing out to meet this year’s LA Muse filmmakers on location to learn the stories behind this year’s films—learning what makes these locations so special and finding out what these creators (and subjects) are looking forward to at this year’s LA Film Festival.